BBQ Survival Guide: Manage Summer Grilling With These 4 Sizzling Must-Read Tips! 'Tis the season to fire up the barbie, Grill Master. Learn everything you need to know to make the results as fit and healthy as possible! With summer around the corner, most of us are getting antsy thinking about all the barbecue festivities on the horizon. There's nothing like the fresh outdoors and throwing a thick steak or juicy burger on the grill. But how will you maintain the physique that you've worked so hard for during the fall and spring with all these delicious and often unhealthy foods being served? Fortunately, it's possible to survive all the summer barbecues with your 6-pack abs intact. But there are definitely some ground rules you'll have to play by. Meat! Grill it, eat it, build it. Everything in life comes with a compromise, and fitness is no special exception. And even though it's obvious you can eat great from both a taste and health perspective, you still have to say "no thank you" to some of the typical unhealthy foods that make their way onto the picnic table. The first spot where you can make the best barbecue decision is right at the grill when you choose the type of protein to cook. A typical barbecue protein spread includes hamburgers, hot dogs, steak, and chicken. Unfortunately, only half of these sources make the cut for staying lean. So if you're doing the hosting, why not think outside the box? 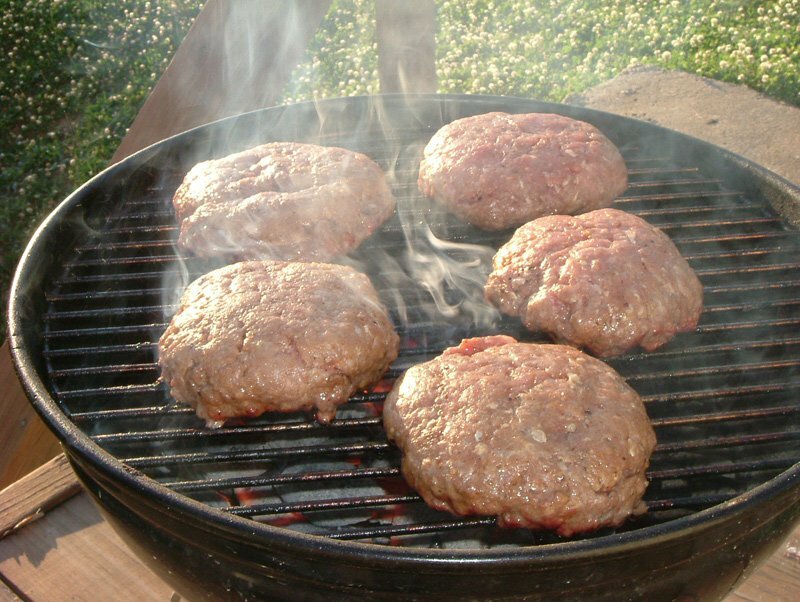 First, rather than grilling up some beef burgers, prepare ground turkey burgers instead. They taste just as good (better in my opinion) and go great with some lettuce leaf, purple onion slices, and a few thinly cut apple rings. The sweet taste of apple combined with a juicy turkey burger is a healthy and tasty twist that is sure to be a hit at your gathering. Instead of steak, consider preparing some other lean cuts of red meat like venison or buffalo. Both options are leaner than most cuts of beef and pack in just as much protein and iron. Throw some creative spices or healthy marinades into the mix and you're ready to do some award-winning and diet-friendly grilling. Finally, don't forget about fish. Fish is easy to overlook when getting ready to grill, but it's one of the best protein sources around. Try grilled salmon, tilapia, cod, shrimp, or even grilled lobster tails if you're really looking to treat yourself. Fish also cooks quickly, making it much more convenient than other protein sources. Wanna get big, shrimp? 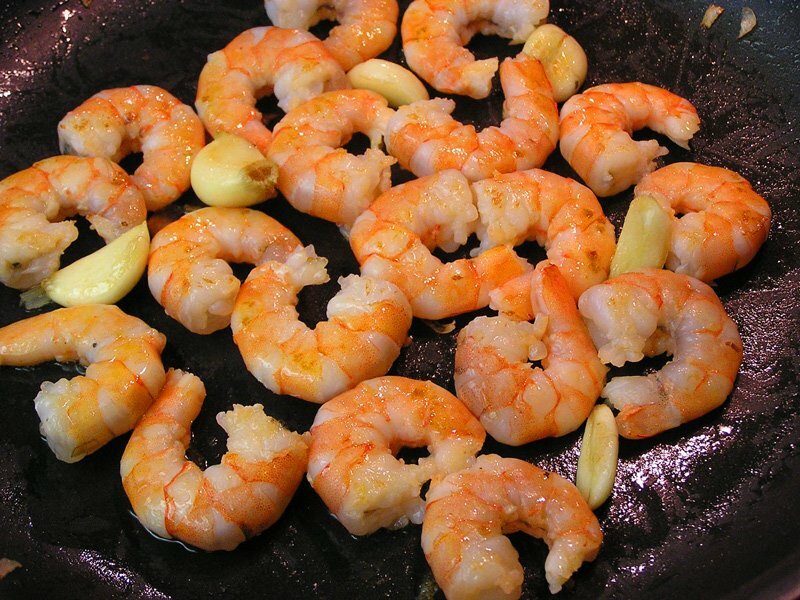 Eat shrimp! It's packed with clean, lean protein. Remember, half the battle of lean grilling is the sauce or ingredients you add to your protein. Most barbecue sauces contain high amounts of sugar, so look for a low-sugar sauce, marinade, or rub instead. If you have a choice cut of meat or seafood, you shouldn't need much sauce to enhance the flavor. Even a simple splash of lemon juice or citrus can elevate your meat or seafood from bland to grand. The next place where your BBQ IQ will be tested is the sides table. Barbecue side dishes can be pretty dense in calories, so always keep your portion size under control. Common picks you'll find on the table include potato salad, macaroni salad, baked potatoes, corn on the cob, beans, and various green salads. The first thing to remember is avoid anything creamy. If you see a dish with a cream-based sauce that you didn't prepare yourself in a healthy way, steer clear, Grasshopper. These dishes are often overloaded with too many carbs, fat, and cholesterol alike. 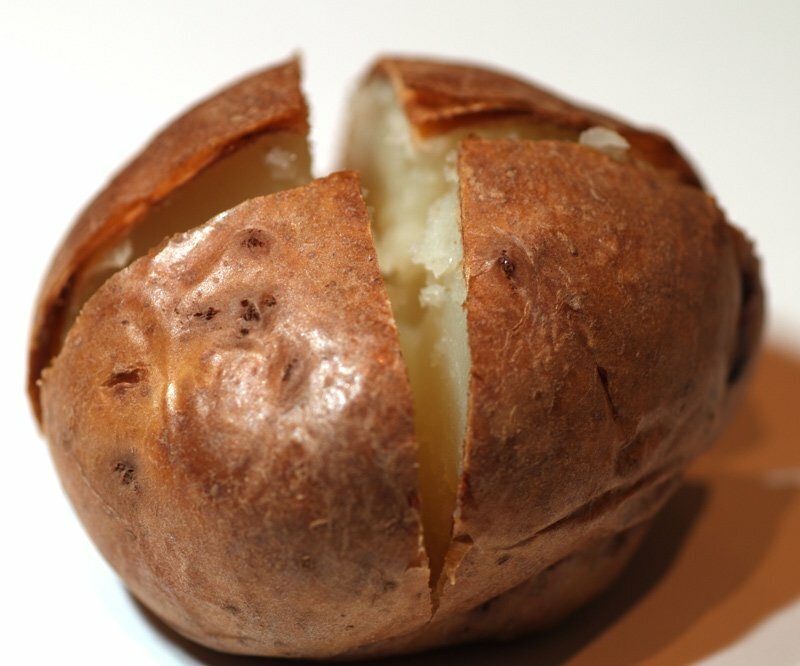 Second, if you aren't on a really low-carb diet, a baked potato can be a wise side choice. But beware of the toppings! Opt for salsa, some fresh chives, or cottage cheese rather than the sour cream and bacon bits that most people pile on. Sweet potatoes are available. Rock those! Thirdly, corn on the cob is a decent side choice, but it does contain more carbs than most typical vegetables. If you're dead set on having it, be sure to stay away from other carb-based sides. This will help keep your total calorie balance in check to ensure you don't overeat. And last but not least, beans are another great option provided they aren't the baked bean variety bathed in maple sugar. Like corn, beans pack a higher amount of carbs, so don't have more side dishes on top of them. Need a post-workout carb? Bake that potato! Salads are always a good choice to have as long as they aren't loaded with cheese, dried fruit, ramen noodles, croutons, or other ingredients high in fat and calories. Go light on the dressing, and again, stay away from creamy salad dressings. Another area that can't be overlooked is the cooler stocked with ice-cold beverages. 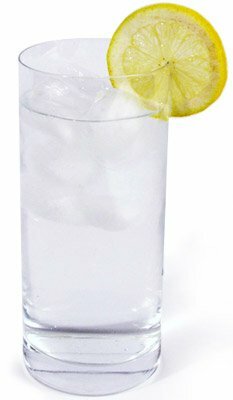 Most people pay close attention to what they eat, but forget to account for the drinks they wash their food down with. As the weather warms up, it might be hard to not grab a frosty brew or soda, but unhealthy drinks could mean that you might be sporting the wrong stomach when fall hits. Alcohol contains 7 calories per gram-more than proteins and carbs. Furthermore, as soon as alcohol hits your system, important processes like fat metabolism and protein synthesis can be severely inhibited. It can take your body hours to return to normal functioning, depending on how much you drink. Sometimes alcoholic drinks are all that's available, so remember to bring your own beverage alternative just in case! It's not only alcohol that's the problem. Sodas and other high-sugar beverages have way too many simple sugars and added calories. People often consume more calories from beverages than the actual meal. Water is the healthiest option, of course, but flavor it up with slices of fresh watermelon, orange, or strawberry, and you have a refreshing and healthy drink free of added calories. Plus, staying hydrated with water will keep your metabolism burning up calories at all hours of the day! Watch out, because the toughest spot is the dessert section, also known as temptation station. Cakes, muffins, Jell-O, pudding, or s'mores over the campfire—there are usually plenty of mouth-watering sweets to drive you into a binge at the 'cue. But one way to finish off your meal and satisfy your sweet craving is having a piece of fruit. There are so many delicious and unique fruits in season during the summer, so there is always a tasty and healthy option available as your outdoor treat. Fruit provides nutrients, fiber, and antioxidants, and only contains around 50-to-100 calories per serving for a guilt-free and delicious dessert alternative. Or, if you need something more substantial, then try sugar-free Jell-O with some light whipped cream or some healthy carrot cake. You can't have your cake and eat it too, but you'll feel like you did if you try Jamie's carrot cake protein bars. Check out this easy and delicious recipe! We all like to get outside, indulge, and let loose when the weather gets nice, so use this survival guide to minimize those barbecue regrets and keep your physique comfortable to show outdoors!